OLLY and the OLLY team and all the volunteers would like to say a huge thank you for helping to bring wonderful memories to our OLLY children. 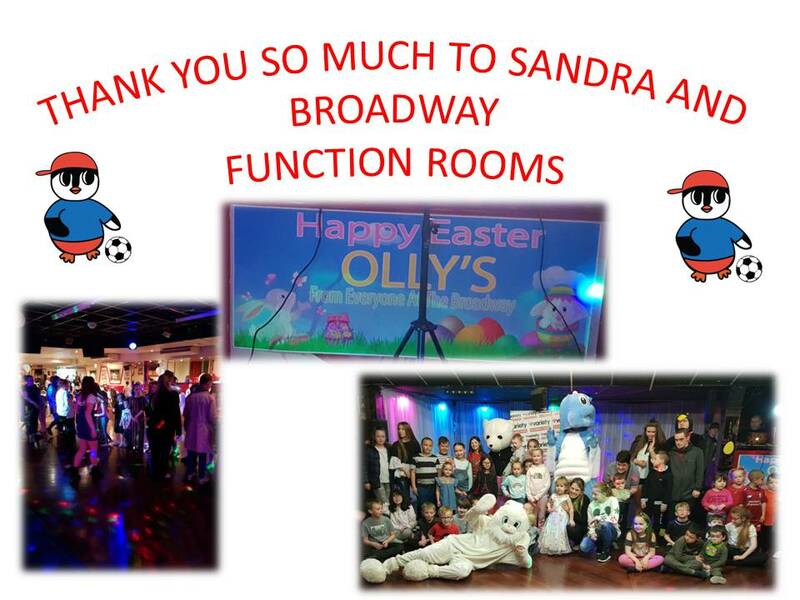 We would also like to Thank Sandra and her staff at Broadway Function Rooms for once again putting on an amazing party. Our Hearts thank you. We would also like to say a huge thank to Lyn Staunton at Variety GB for her kindness in donating from sponsors all the Easter Eggs as the Easter Bunny presented them to each child. Our next party Sandra has stated will be before Christmas where every child will receive a present from our very own Father Christmas. Please watch out for dates for up and coming events and also later in the year the date of our annual Christmas Party.